The June 2014 issue of the Journal of Medical Toxicology, the official journal of the American College of Medical Toxicology, features articles on antidotes including lipid emulsion therapy, flumazenil, and atropine. The June issue of the Journal of Medical Toxicology (JMT) features several cutting edge papers that examine the safety and benefit of various antidotes, some old and some new. One of the highlights from the issue is the largest published case series of the antidotal use of intravenous lipid emulsion (ILE) therapy for treatment of drug overdose from the LIPAEMIC Study Group, an international multi-center collaboration. Intravenous lipid emulsion has been called “miracle fat” because of its ability to save patients with cardiovascular collapse from toxicity related to local anesthetic agents. LIPAEMIC’s new report from data collected using a prospective online registry describes recovery from cardiac arrest in several patients with anesthetic as well as non-anesthetic drug overdoses. Although few adverse effects were noted, the authors emphasize that additional clinical trials are warranted “to further define the role of ILE in clinical toxicology.” The large number of cases adds important new knowledge to the evolving literature on ILE. Other highlights include a comparison of atropine regimens for treatment of organophosphate poisoning, a 10-year review of nutmeg ingestions, and an important study that evaluates different treatment strategies for complicated bleeding associated with dabigatran use. These articles, and many other regular features, are available in the June edition of JMT (Volume 10, Issue 2). 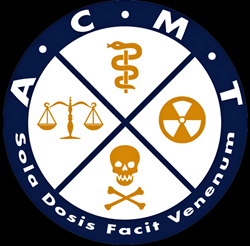 ACMT is a professional, nonprofit association of physicians with recognized expertise in medical toxicology. The College is dedicated to advancing the science and practice of medical toxicology through a variety of activities.